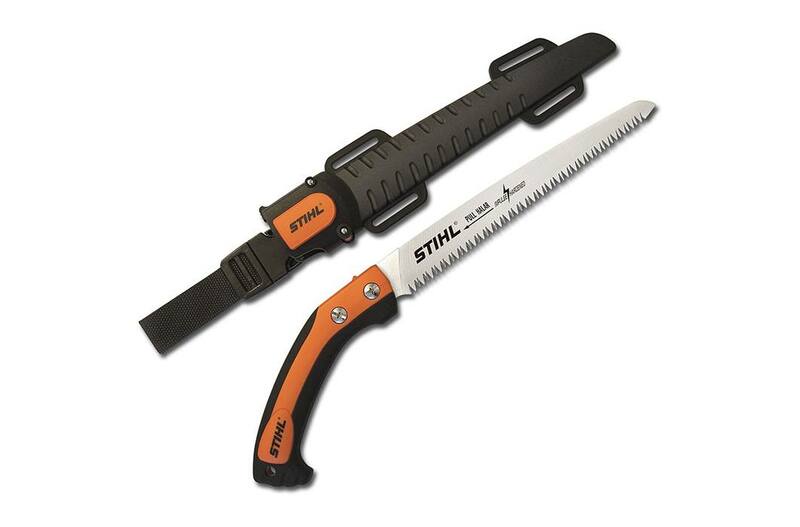 This fixed-blade pruning saw with 9.5” blade is excellent for pruning limbs up to 3” in diameter. With impulse-hardened blade teeth that stay sharp three to four times longer than conventional teeth, the PS 60 pruning saw from STIHL has one mean bite. Similar in design to the PS 40, this model is bigger, badder and made to take on dense or frozen limbs up to 3” in diameter. Its curvature ground blade provides the highest level of precision with the least amount of pinching. This hand tool also features a comfort grip and comes with a composite sheath with a thumb lock and belt loop.